The natural building material -- it breathes. 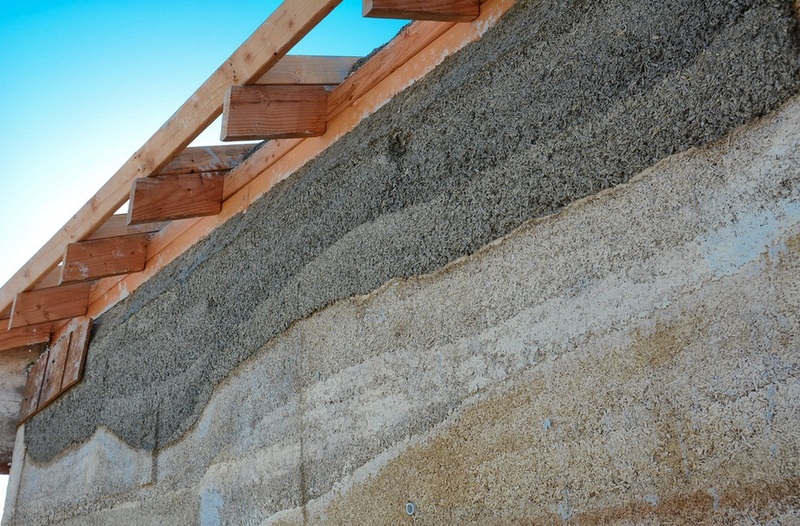 Hemp, an ancient building material, can be used as a main component in bricks, particle board, insulation, and hempcrete, a hemp-lime mixture used for building walls. It also can be plastered or sprayed onto interior and exterior structures and used for roofs and subfloors. Hemp building materials reverse the damaging effects of greenhouse gases by locking up harmful CO2 emissions. In essence, these materials breathe. They are also stronger and lighter than those used in modern building, easy and safe to work with and, most importantly, create healthy living and work spaces free of the toxic elements that eminate from traditional construction materials. With the expanding “green” movement pushing demand for a sustainable future — and hemp’s perfect environmental fit — the hemp building market is gaining momentum among homeowners, growers, processors, materials suppliers and construction firms. Yet industrial hemp, while grown and processed in more than 30 countries the world over, is cultivated on only about 100,000 hectares globally, yielding about $600 billion across the several industries which extract raw materials from the hemp plant. "A hemp wall replaces the combination of drywall, insulation, exterior boarding, house wrap, siding, caulk and paint all in one thermal wall system. It’s great at keeping a more comfortable constant temperature, is fire resistant, breathable, mold-, pest- and mildew-resistant, and over time extremely affordable."